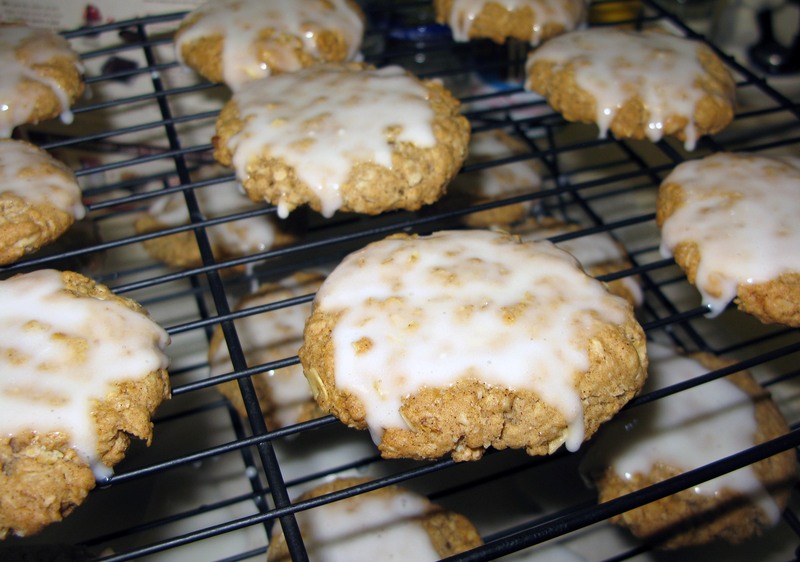 Iced Oatmeal Cookies | I Wanna Bake! When I was preparing for my trip, I asked Josh if there was anything special he wanted me to get from the grocery store when I stocked up. The only thing he asked for was iced oatmeal cookies. Sadly, I couldn’t find them in Target, so I had to disappoint him. To make it right, I decided that I would make them for my next bakeventure. 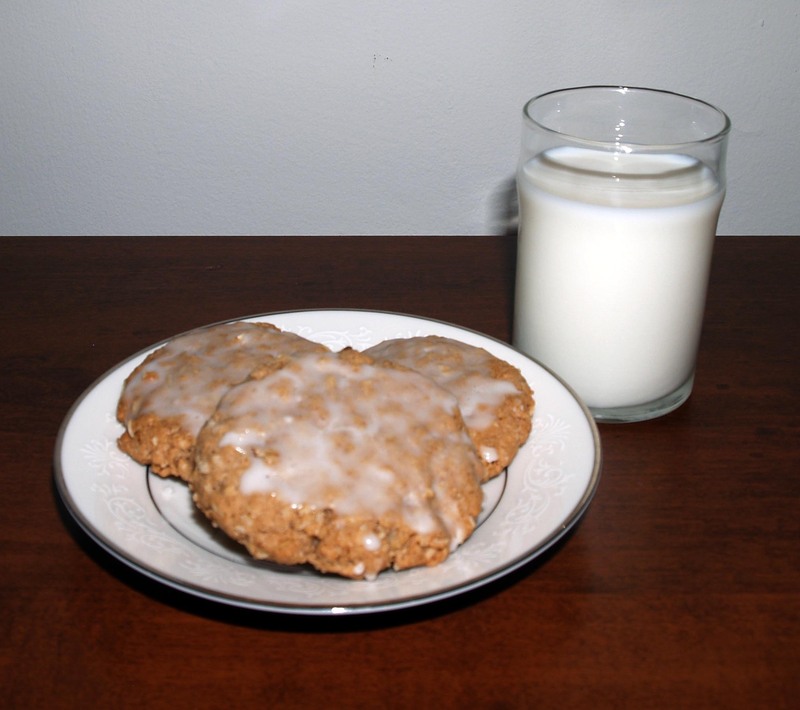 I started with this recipe for the cookies and made a pourable glaze to finish it off. These cookies turned out almost exactly as I had hoped: just barely soft with a thin, hard layer of icing on top. I was originally planning to actually make crunchy cookies for once, but I guess I am just incapable of letting a cookie bake beyond a certain brownness. If you want your cookies crispier, I would suggest rolling the chilled dough out to at most ¼” thickness and cutting them out with a knife or cookie cutters. Aside from cutting the recipe in half and adding in some much-needed cinnamon, I didn’t make any changes to the ingredients. I did, however, find that the procedure didn’t quite work as I’d expected. I formed the dough into a log and chilled it until it was firm, but when I went to cut it into discs, they all fell apart. I wasn’t willing to give up on it, so instead, I just reformed the discs into the right shape and continued. It worked out alright in the end, but if I do this again, I would probably try rolling the dough as suggested above. I made the glaze much thinner than normal so that you could still sort of see the cookie through a hard, shiny layer of icing. The corn syrup is what gives it that sheen, so don’t leave that out. 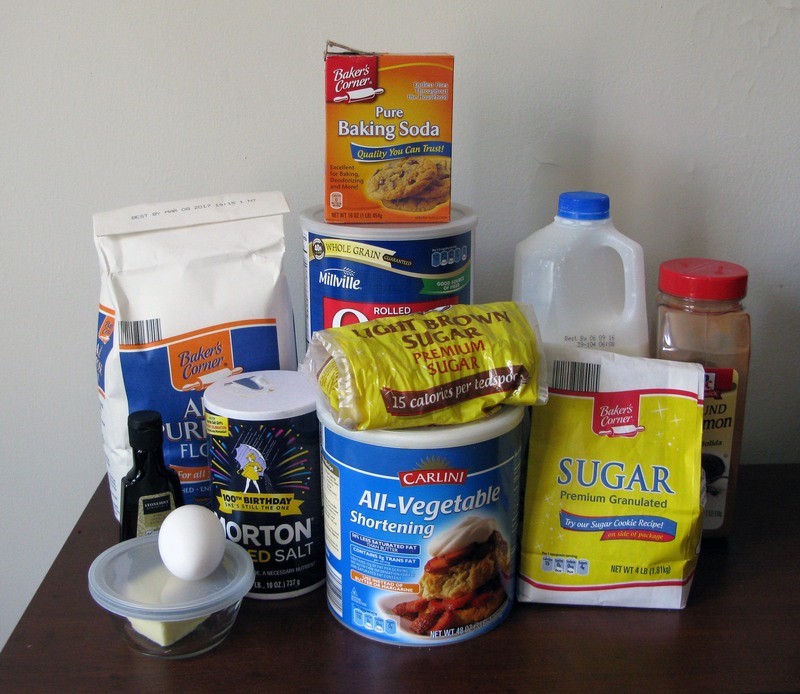 If you would like a whiter layer of icing, you could add another half cup to one cup of powdered sugar. This will stick on thicker, leaving a more opaque covering. I like to pour the icing onto the cookies while they sit on my stackable cooling racks so that some of the icing that drips down is caught by the cookies on the lower levels. If you do this, BE SURE to put something underneath the racks. Otherwise, you will be stuck scraping a hard sugar mess off your counter. Not fun. In keeping with the classics theme, I’m going to suggest some Beatles for this bakeventure. The earlier stuff is simple, but really, it’s all classic, so go with your favorite! 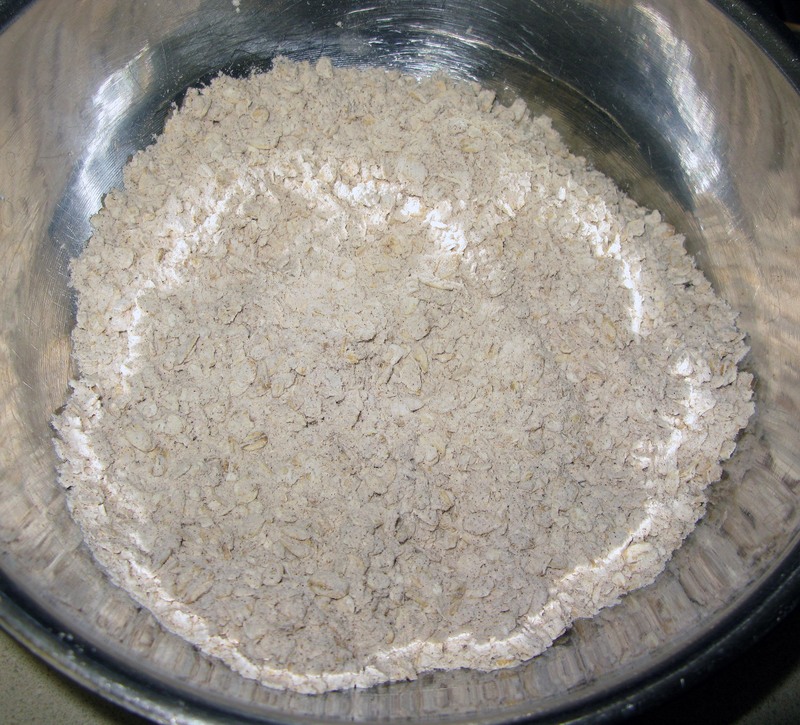 In a medium mixing bowl, whisk together the oats, flour, baking soda, salt, and cinnamon until they are well-combined. 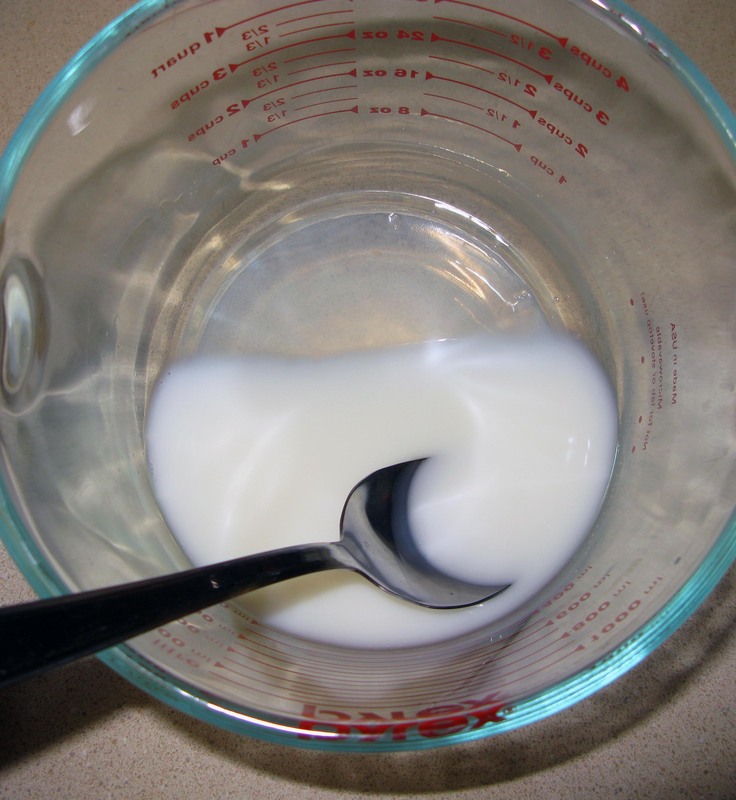 In a separate, larger bowl, cream together the shortening, butter, and sugars until smooth. I had trouble getting all of the shortening to incorporate into the mix, so I worked it with my hands until it looked right. Beat in the egg and vanilla extract until the mixture is creamy. 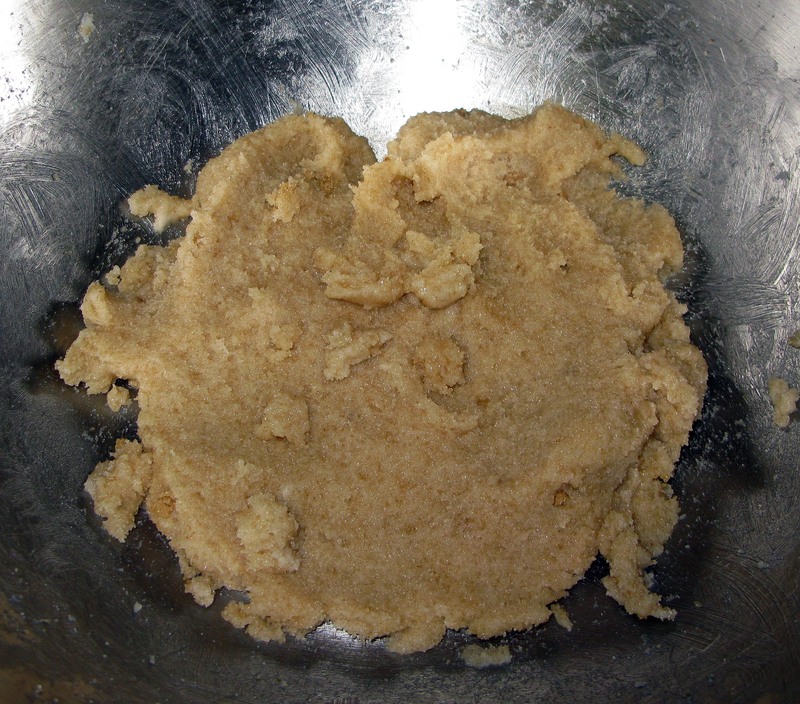 Stir the dry ingredients into the wet ingredients until the dough is uniform. Again, I chose to do this with my hands because it gave me the best control over the consistency. 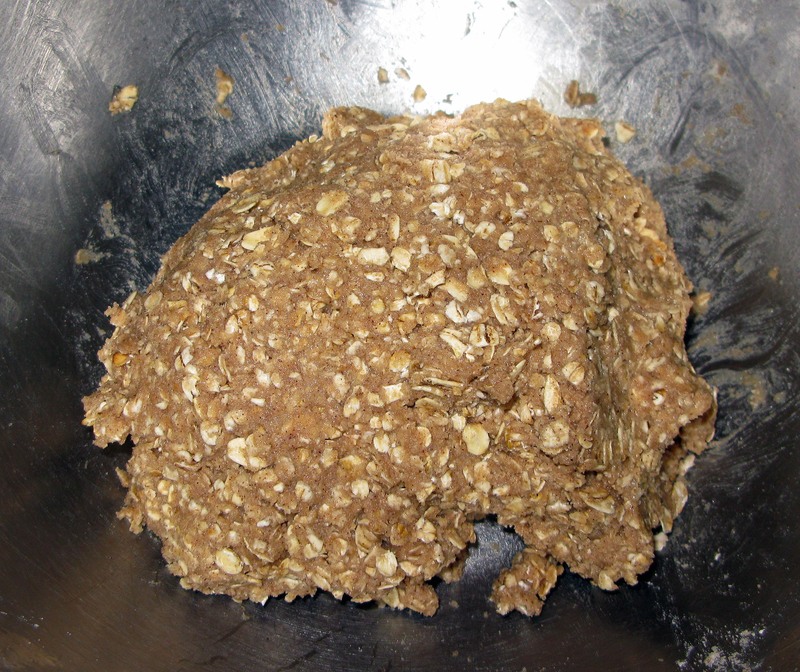 Chill the dough for at least an hour in the refrigerator. 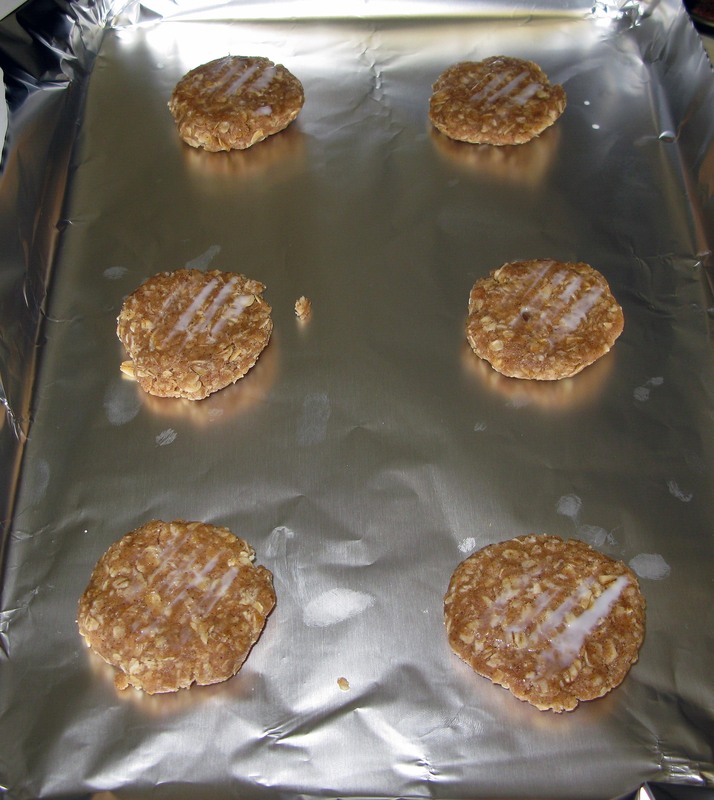 After it has firmed, preheat your oven to 350°F and line your cookie sheets with foil or grease them. Form the dough into approximately 24 equally-sized balls (about the size of golf balls) and flatten each ball out as thin as you can. 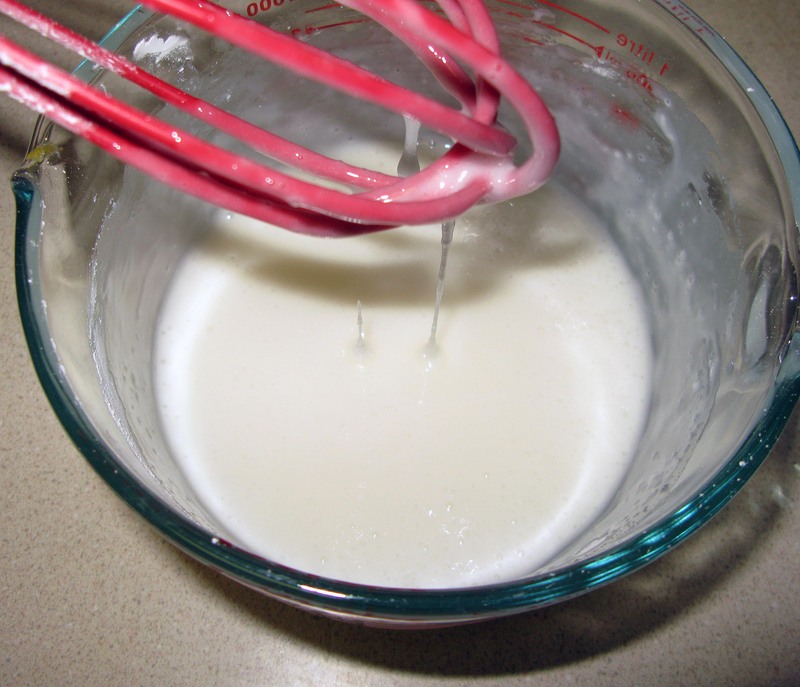 Place the dough discs on the cookie sheets and press them down further with a fork dipped in milk. 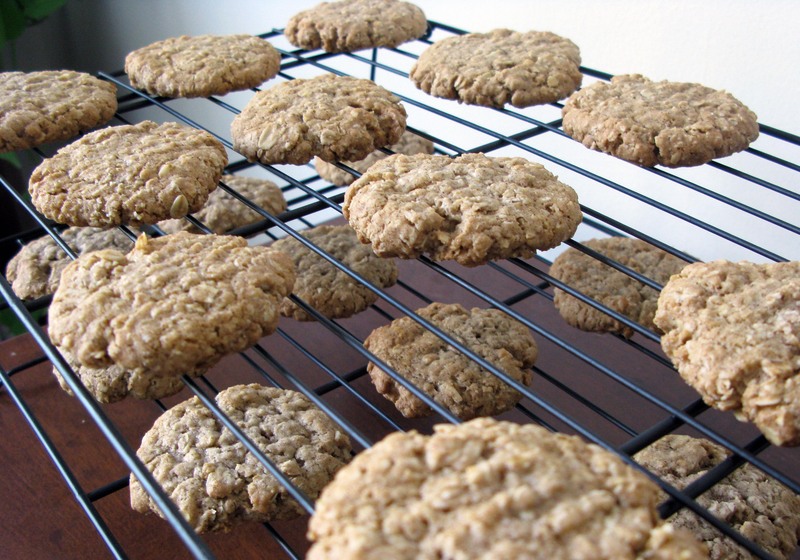 Bake the cookies for approximately 10 minutes, or until they turn golden brown. 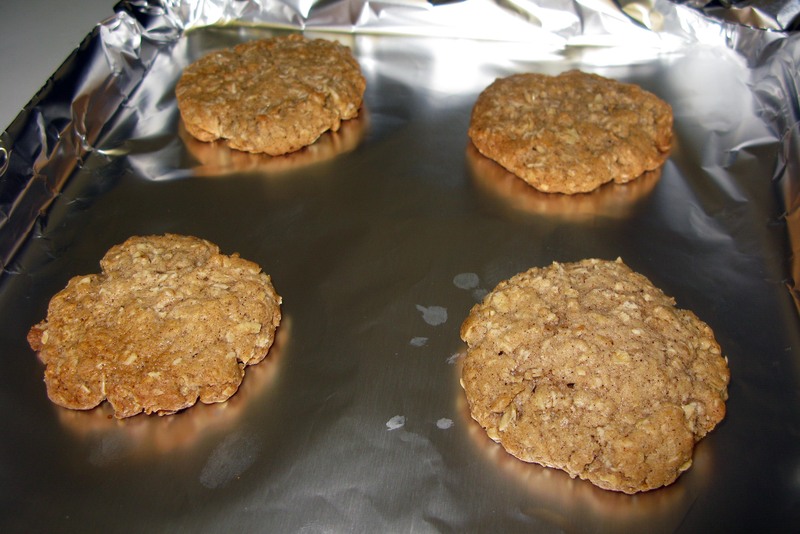 Leave the cookies to cool on the cookie sheets for about 5 minutes, then transfer them to cooling racks to cool completely. At this point, you should probably go off and do something else, because your kitchen should smell like a bakery and the cookies are going to be too tempting not to eat in one sitting. When the cookies have cooled, it’s time to prepare the icing. I like to do this in a glass, 4-cup measuring cup because I can microwave the milk in it first (about 30 seconds was all it needed), and because the pour spout makes it easy to ice the cookies. 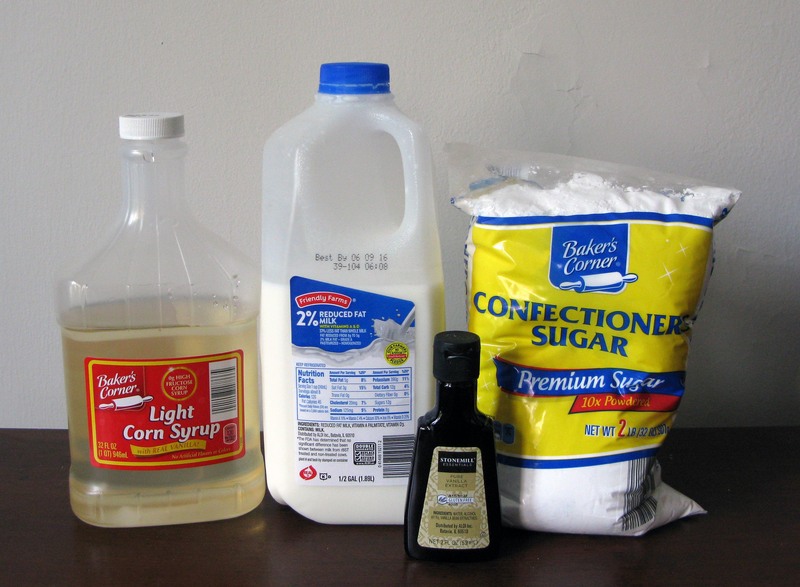 Whatever vessel you choose, whisk together the warm milk, corn syrup, and vanilla extract until they are fully-combined. 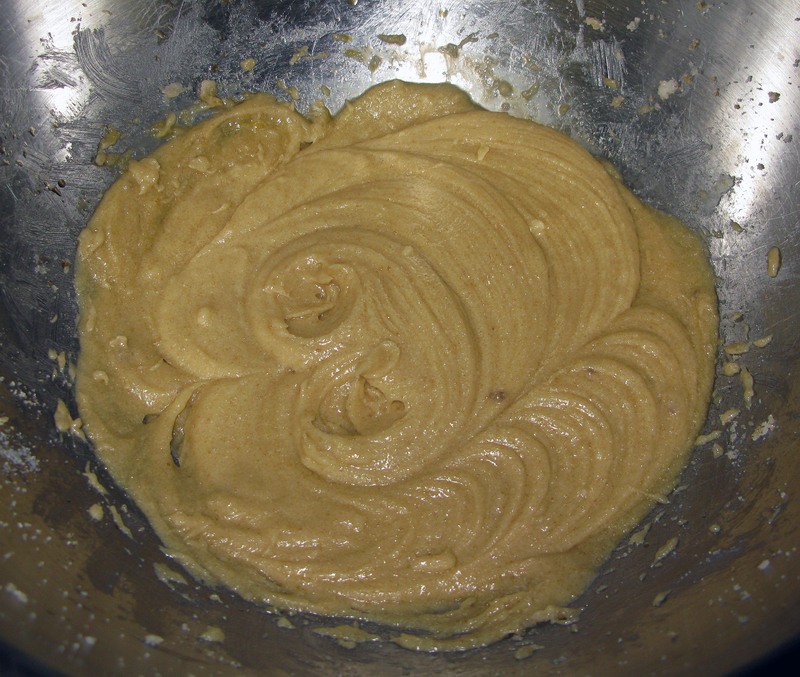 Be sure to swirl the mixture in the bowl so that you can see that all of the corn syrup is getting mixed in and not just sitting on the bottom. Now, one cup at a time, whisk in the powdered sugar until smooth. It should be very runny. Pour the glaze over the cookies on the cooling racks (don’t forget to put something underneath to catch the excess icing that drips off!!!). Leave the cookies to set overnight. I know it’s tempting to sample the fruits of your labor right now, but trust me, these are better after they’ve sat overnight. Once the icing is set, store the cookies in an airtight container separated by layers of wax paper.